Today is the birthday of Howard Carter (1874-1939), an English archaeologist and Egyptologist who discovered the tomb of Tutankhamen. This entry was posted in Birthdays, Metaphor, Religion, Symbol on May 9, 2011 by Michael Happy. Many readers of Frye have admitted they have a “preferred” book, or one that influenced them more than any other. If I recall correctly, Michael Dolzani was most influenced by Fearful Symmetry; Bob Denham by Anatomy of Criticism; Michael Happy by The Educated Imagination; Joe Adamson by The Secular Scripture; and Eva Kushner by The Critical Path. Indeed, we all appear to have that one moment in reading Frye when suddenly it all made sense. In my own case, I had always thought it was Anatomy of Criticism, but recently I have been thinking more and more about The Secular Scripture. Over this past term I have had the great pleasure of teaching with Frye’s The Secular Scripture, and my students have, for the most part I think, enjoyed engaging with it. However, we have also taken Frye out of his comfort zone. The course I teach considers “Race and Ethnicity in Latin American Narrative” (this is the official course title). But I tailored the course to address one of my own preferred area of study, romance novels. Frye, not surprisingly, seems most comfortable when dealing with romance in its European context, but Latin American romance novels appear to be beyond his purview. When I began to speak about romance, I went for the obvious question: How many of you have read Twilight or Harlequin romances? — which, of course, many of them had. I then got them to read theoretical writings on the romance, particularly The Secular Scripture, which became our guide to romance. They also read articles or chapters by other theorists writing on romance, including writing on Latin America: Pamela Regis, Lois Parkinson Zamora, Doris Sommer, Jean Franco, and others (all of whom, interestingly enough, engage with Frye). I will admit here that I spent many pages of a now-discarded dissertation arguing against Doris Sommer’s understanding of Frye. It is my belief that we can still work with Frye’s theories of romance, and this is precisely what I have endeavoured to show in the course I am teaching. Frye did not read Latin American romances, but his theory if applicable to the study of world literature should translate to any given context. My students and I will have worked through four novels in our course when we conclude at the end of the month. We have found that Frye’s archetypes do fit well into the study of romance in its canonical and popular senses. Could Frye have predicted some of the specifics of Latin American romance? No, he couldn’t, not any more than he could address the latest manifestations of the genre in the twenty-first century. But, his model still holds true for the bulk of these romances. 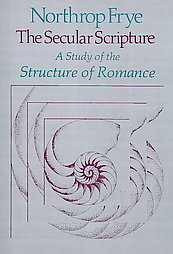 Frye’s The Secular Scripture is, as with most of his books, very teachable and very user-friendly to the student of genre. My students are now preparing to write term papers, which must attend to The Secular Scripture, and I eagarly wait to read their ideas and their approaches to the Latin American Romance with the assistance of Frye. This entry was posted in Secular Society, Symbol on November 8, 2010 by Jonathan Allan. On this date in 1857 Charles Baudelaire’s Les Fleurs du Mal was first published. In this excerpt from “The Literary Meaning of ‘Archetype'”, Baudelaire only gets a passing mention, but his work is nevertheless associated with a constellation of archetypes. This aspect of symbolism is what I mean by archetypal symbolism. I should tentatively define an archetype, then, as a symbol, that is, a unit of a work of literary art, which connects one poem with another and thereby helps to unify and integrate our literary experience. The archetype is thus primarily the communicable symbol, and archetypal criticism is particularly concerned with literature as a social fact and as a technique of communication. By the study of conventions and genres, it attempts to fit poems into a body of poetry as a whole. It is the only method of criticism known to me in which it is really necessary to assume that there is such a subject as comparative literature. This entry was posted in Anniversaries, Archetype, Symbol on June 1, 2010 by Michael Happy. 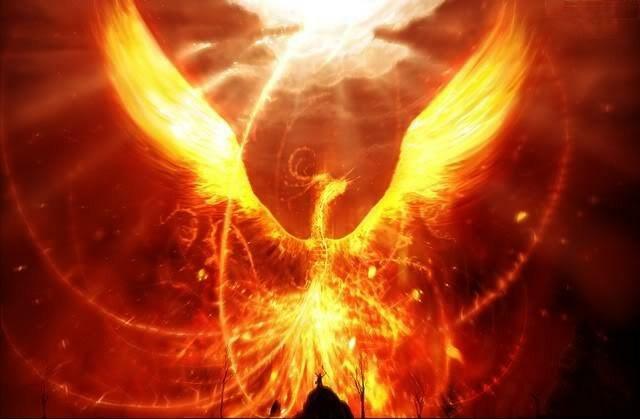 A phoenix trope for pure desire. The anagram of Frye is Fyre. This entry was posted in Bob Denham, Notebooks, Symbol on May 23, 2010 by Bob Denham.